Shop us for business checks, business forms, one-write pegboard checks, laser checks and forms, continuous checks and forms, and business envelopes. Our business checks have up to 11 FREE security features. The best check deal in the industry! Our business forms and checks are guaranteed. 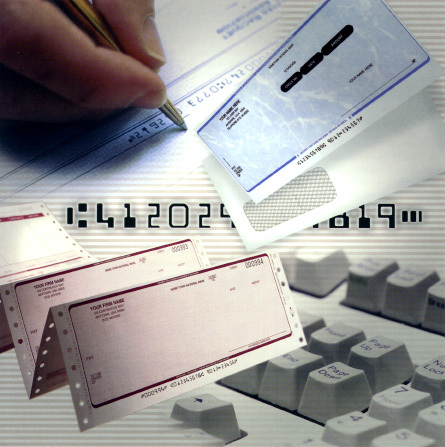 Click the links to the left for a more detailed listings of all the Laser Checks, Continuous Checks, One-Write Checks, Business Envelopes, and Business Forms of all types. Please call for help with any ordering questions you may have.